Bangkok, Thailand, 31 October 2018 -- The ten weeks of Extraordinary Visitation of the St Paul Thailand-Cambodia-Laos Province has concluded with a two-day session (October 30 and 31) in the Bangkok provincial house. 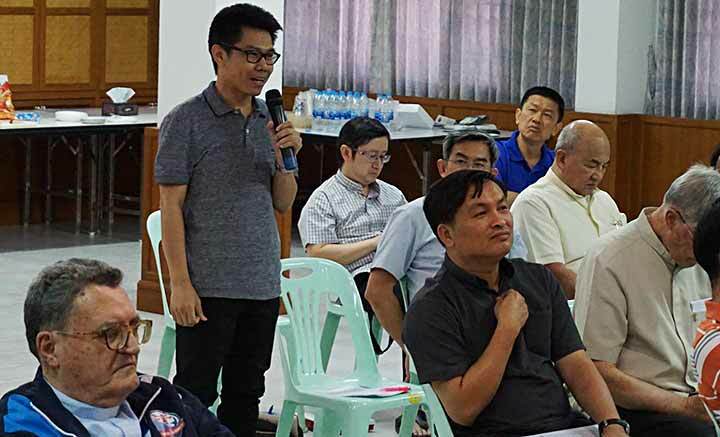 The first of these days saw the participation of the Rectors and Provincial Council members, coordinated by the Provincial Fr John Bosco Theparat and with excellent back up of the Provincial Secretary Fr Joseph Kriengsak. More than 50 confreres took part in the last two days of conclusion. During the 68 days the Extraordinary Visitor met all present Salesians and contacted another 10 who are currently in formation or doing further studies abroad. 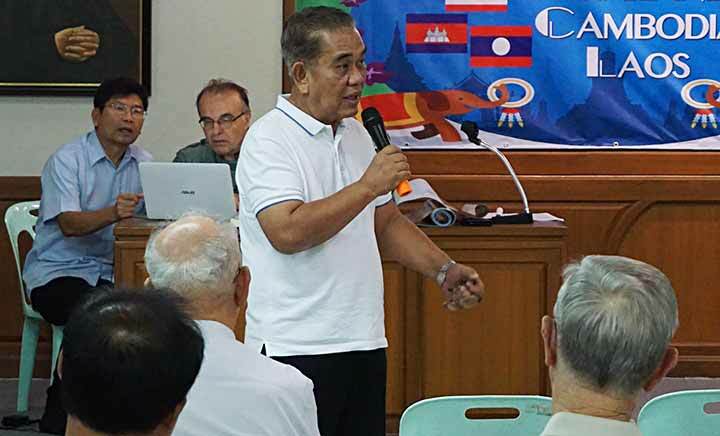 Fr Vaclav shared the GC28 questions with the confreres in each local community: 'What kind of Salesians for the Youth of Thailand - Cambodia - Laos?' as well as the future of our mission - consecration - community life. Indeed the task of reshaping our Salesian presences emerged as one important vision. Also, most of the 1700 teachers or full-time staff in our education works, parishes, boarding houses and oratories had the opportunity to share their vision and suggestions. There have been no fewer than 42 news articles published by AustraLasia over this ten week period, with contributions from the THA Social communication delegate, many confreres, lay mission partners or members of Salesian family. 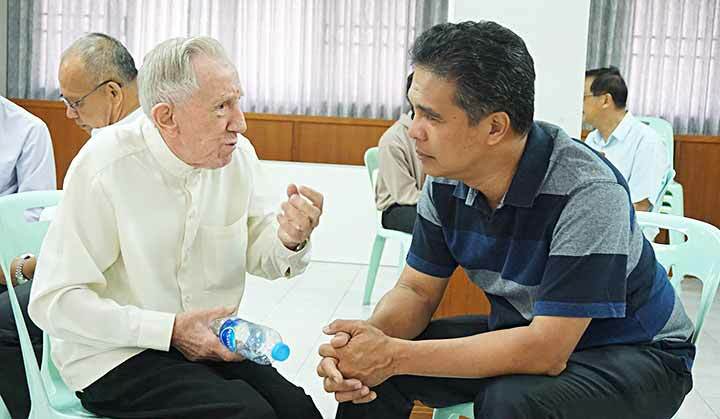 A number of personal interviews have been published: the most senior Salesian Brother, one catechumen, one Salesian Cooperator and one missionary practical trainee offered deep insights into the charismatic dynamics of the St Paul province. 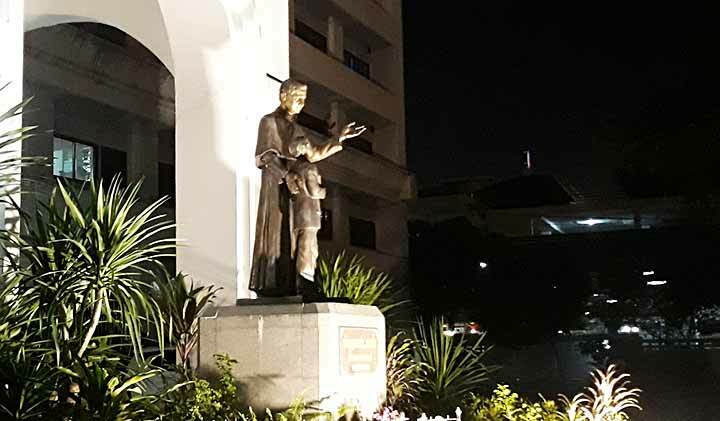 Indeed there is a very broad field of mission and many human resources, especially in the almost 3000 members of the ten groups of the Salesian Family in the 3 countries. More than 21,000 young people (only 1000+ Catholics among them) attend the educational process each day in a variety of educational institutions in the three countries, involving academic schools, vocatioal training centres, technical schools, boarding houses (1400+ boarding students). During the workshop-style sharing, rectors and provincial councilors shared insights on their source of happiness, their comfort zones and how to strengthen the sense of belonging to one province comprising three countries. What is the vision for the Thailand - Cambodia - Laos province? Charismatic growth would be inspired by the fast-approaching Centenary of Salesian presence in Thailand (1927-2027). 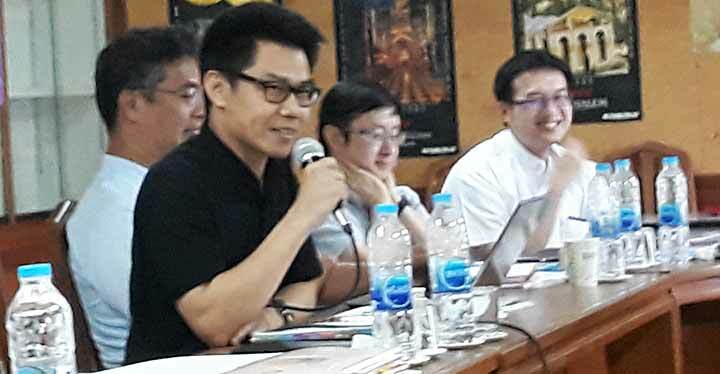 The 100 Salesians of THA province are called to deepen these 3 main strategies towards the future: (1) Strengthen the sense of belonging to one province of three countries, (2) Move out of their comfort zone towards more direct commitment for the marginalized young people and (3) Foster more effective joint formation of SDBs with our Lay Mission Partners.